I tried to immerse myself in this tome of pseudo lore after reading The Lord of the Rings trilogy for the first time nearly thirty years ago. Fantasy fiction was my genre of choice back then. Still, I couldn't do it. Middle-earth's creation story, which kicks off the book, felt as dry as a Texas summer drought, and by chapter two my thoughts had wandered off to swimming holes and cold beers. I set the book aside for stories featuring plots and protagonists, intending to one day return to this unfinished, posthumous, literary geekfest when my constitution could endure the myriad cameos and daunting pronunciations of foreign place names. Years elapsed. In the interim, I was exposed to the likes of Twain, Nabokov, Steinbeck, Greene, and Davies. Over time, my concerns shifted; I developed an appreciation for style. Craft superseded genre. Plot was reduced to its essential ingredient, like flour or stock, but no longer the dish's draw. In short, what happened in a story became secondary to how what happened was conveyed. A film major once directed my attention to select camera angles and lighting effects and how these shots were used to induce attitudes in the audience. We were exploring the mechanics of movie making, occasionally to the detriment of the dialogue. How the clock worked became more engaging than what time it was. Whether this shift in concern is a good thing is debatable. Learning the mechanics of story – how to create memorable characters, evoke emotions, and sustain tension – can certainly benefit the aspiring writer. But it can spoil the reader, just as I suspect a flower's bloom to a botanist isn't quite as pronounced as to a mom on Mother's Day. This clinical approach to reading has in many ways hardened me. I'm more demanding, more selective, than I once was. As a result, I rarely read fantasy fiction anymore. Most of it is elevated comics, of little or no redeeming value. However, two hundred thousand words into my own magnum opus involving knights and knavery drew me back to the more contemporary authors of the genre if only to appraise the market. And since most of it (without naming names) ranges from mediocre to poor, I decided to return to the master. Revisiting The Silmarillion while focusing on style alone dramatically improved my experience. The book's lack of structure – its numerous, sometimes disjointed, accounts of elves and oaths and betrayals and battles – was no longer a distraction. Instead, the words, though a vehicle for such things, became the primary character, much like Middle-earth itself is arguably the primary character of The Lord of the Rings. Few contemporary fantasy fiction writers have Tolkien's ear for that diction we associate with a bygone era. Stephen R. Donaldson is the only other writer I know who has achieved a similar authenticity. A philologist as well as a lover of epic poems and ancient lore, Tolkien convincingly reproduces the archaic speech patterns we associate with the nobility of yesteryear. 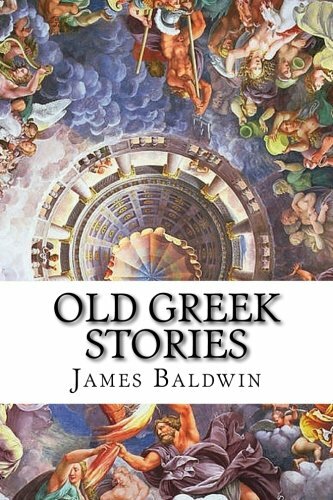 A grandeur abounds in the narrative as well, often inspired, and reminiscent of Homer's Iliad. With the help of J.R.R. 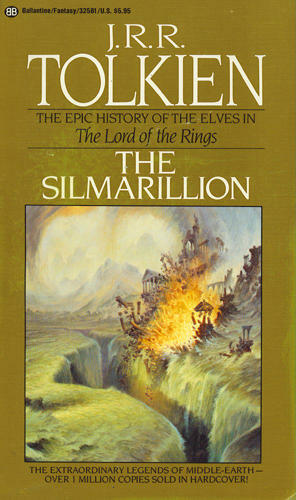 's son Christopher Tolkien, The Silmarillion summarizes the creation and the early history of Middle-earth, namely the First and Second Ages, which are, for those keeping score at home, the events prior to The Hobbit and The Lord of the Rings trilogy. This isn't a novel. Nor is it a book of short stories. Though a book of short stories comes closer to the mark. Historic events and the key figures involved are given chapters. A few figures reappear in later chapters. Most don't. Still, the book has several superb passages. After establishing Melian as a Maia (a sort of demigoddess) whose singing draws the nightingales to flock and follow her, we're introduced to Elwë, later known as Thingol, one of the three chieftains of the original elves, who stumbles upon Melian singing in her garden. … being filled with love Elwë came to her and took her hand, and straightway a spell was laid on him, so that they stood thus while long years were measured by the wheeling stars above them; and the trees of Nan Elmoth grew tall and dark before they spoke any word. For those who rejoice in good style and find themselves disappointed by many of the more contemporary fantasy fiction writers, this work won't fail to delight, despite its hodgepodge construction. Recommended for the connoisseur of good prose; not for the gourmand of plot.